Please follow the instructions closely or will result permanent damages to the light! Warning! When plug in the USB cable to the light, please handle with great caution and carefulness. DO NOT MOVE THE USB PLUG VERTICALLY. Warning! DO NOT PLUG IN THE POWER CABLE FOR THE LIGHT! You should see a red light inside your blunova light. Your PC should notice you that it detected new hardware. Write down the port number of “Prolific USB-to-Serial Comm Port” number. In this case, it’s “COM4″. 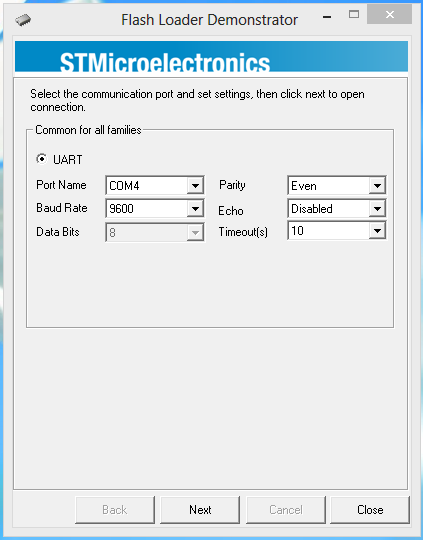 Make sure the settings are set as shown in the image above and change the “Port Name” to the one you just wrote down. You should see the software shown as above image.